Here I am presenting a simple decoration of fruit salad especially for Christmas parties. Amaze your friends & family on this year’s Christmas party with a decorated area of “Fresh Fruits Christmas Salads”. We need watermelon, strawberry & some grapes. To make shapes you can use christmas shape cutters. 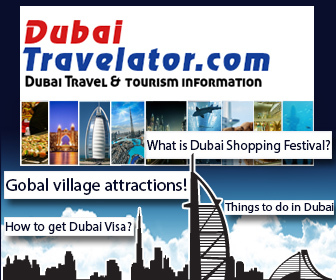 Due to fascinating shape of Fruit sticks kids will love to eat the fresh fruits. Note that this is a simple & easy way to create a Christmas mood at home. Check my other easy Christmas salad recipes. 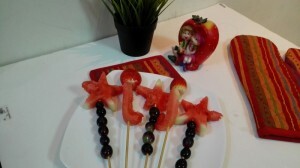 Cut some watermelon into star shapes & umbrella stick shapes. Fill the glass with watermelon cubes. Pierce 10 to 12 grapes on long barbecue sticks. Pierce star shape watermelon on top. Like wise pierce stick shape watermelon on another stick. Pierce strawberry on top to give a umbrella look. Input the sticks in the glass filled with watermelon cubes. Chill the sticks if required. It's done! The fruit salad sticks are ready to serve!